Best running sandals for kids Soft baby orange shoes for new walkers. Orthopedic high top with proper ankle support for a baby. Orange smooth leather and decorated with flower. Softest leather uses with proper ankle support. Arches added to the sole..
Tiptoe walking preventive footwear for toddlersLeft ankle turning corrective shoes for girls.High tops for baby girls with weak ankles and pigeon toesAbsolute best ortho shoes that you can buy for your babyProper stable soles, good heel support, arches present.. Narrow feet best baby shoesHigh tops in blue leather for baby girls with weak anklesBaby Deer walking high tops shoes for kids Blue girl's t-strap shoes with the best arch support, flexibility and fit.Good walking shoes for a child. Decorated with pink bow.Lov..
Quality sandals kids with archesPronation best support kids walking sandals.Yes, they are best for pronation as they offer sturdy stiff heelChild is walking in those shoes and ankle will be perfectly supported. Type of a high top walker that every child does n..
Pigeon toed pronation shoes for a toddler. Good arch, ankle support and heel support. Foot corrective baby shoes. Over time will align baby's feetOrtho support inside with high archesBest leather used on those lovely shoesMade in Europe.Made out of pink leathe..
Toddler ankles turn inwards correction shoesBaby high tops with actual foot support with good ankle support.If child ankles turn inwards and pigeon toes develop that is a result of wearing none supportive shoesShoes made in China and cheap shoes worn by a chil.. Wide feet sandals toddler girlFoot forming shoes for girls with high arches Gold metallic leather orthopedic adorable sandal decorated with flowers. Made out of gold metallic leather decorated with a flowers.Easy fit for wide and high instep feet.Arches ..
Rose gold sandals for girls Dress sandals for kids made with natural beige leather, Lovely rose gold color matches any outfit. Orthopedic high arch present.Special anti sweat soles present so child will never sweat in those sandals. Sandals come from Spain and..
Natural leather orthopedic shoes for a toddlerClosed toe, high closed back, soft soles and ortho arches present.Best high top sandals for boys or girls. Feet will never smell in the as they have special insoles to absorb sweat. 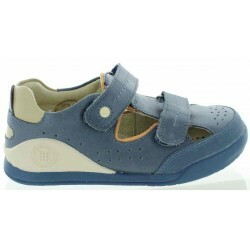 Blue and beige leather soft unis..
Ankle supportive toddler sandals to support the foot muscles. Good arch, ankle support for daily wear. Closed heel sandals for proper support and foot muscle tone.Ankle support best girls sandals for daily wear. Fuchsia silver and whit..
Best arch support sandals for flat feetRegural to narrow feet style. Visible arches inside. Quality sandals for kids made in Spain. Made out of blue and orange leather. Anatomic soles present for comfort in walking and running. 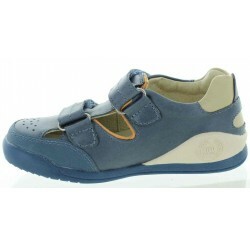 Great sandals for boys comf..